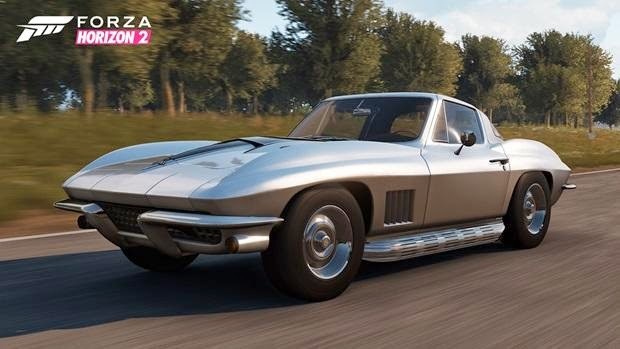 Microsoft has released its first batch of add-on content for the Xbox One version of its open-world racer Forza Horizon 2, adding a collection of six new cars to player garages. The pack introduces the 2015 Jaguar F-Type R Coupe, the 2014 Jeep Grand Cherokee SRT, the 2013 Renault Clio RS 200, 1988's Volkswagen Scirocco 16v, and the 1957 Maserati 300 S. This month also marks the launch of the 1988 BMW M5, which all players can download today free of charge. Joystiq's Ludwig Kietzmann found that Forza Horizon 2 excelled in providing a laid-back structure and player-determined pacing, describing the experience as akin to "a big, bouncy summer drive." The Mobil 1 Car Pack is priced at $5, and is available as a free download for players who purchased the $24.99 Forza Horizon 2 Car Pass.